"Take the familiarity of new wave, post punk and synthpop and throw a sexbeat and goth subculture cloak over it. 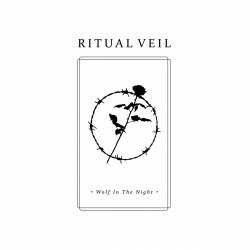 Add a kind of starry-eyed new romantic feel to the whole mixture, and this is where Portland, OR trio, Ritual Veil, come in. Ritual Veil have emerged with a solid six-track EP which explores those styles while sounding intuitive and honest. It's been a while since the last time we've listened to a release on which each and every individual track could be a standout single, and this upcoming band's debut EP is one of those cases. 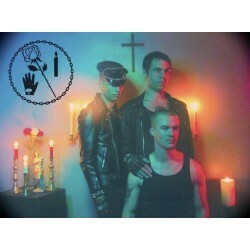 Despite the strongly stylized aesthetics and trust on the traits and sounds of the past, Wolf In The Night surfaces sounding fresh, founded on the trio's impeccable artistic taste, throbbing beats and alluring synths, as well as a striking vocal delivery that always seem to carry a touch of melancholy. Goth club frequenters and very early Depeche Mode and New Order devotees, sit up for this one.